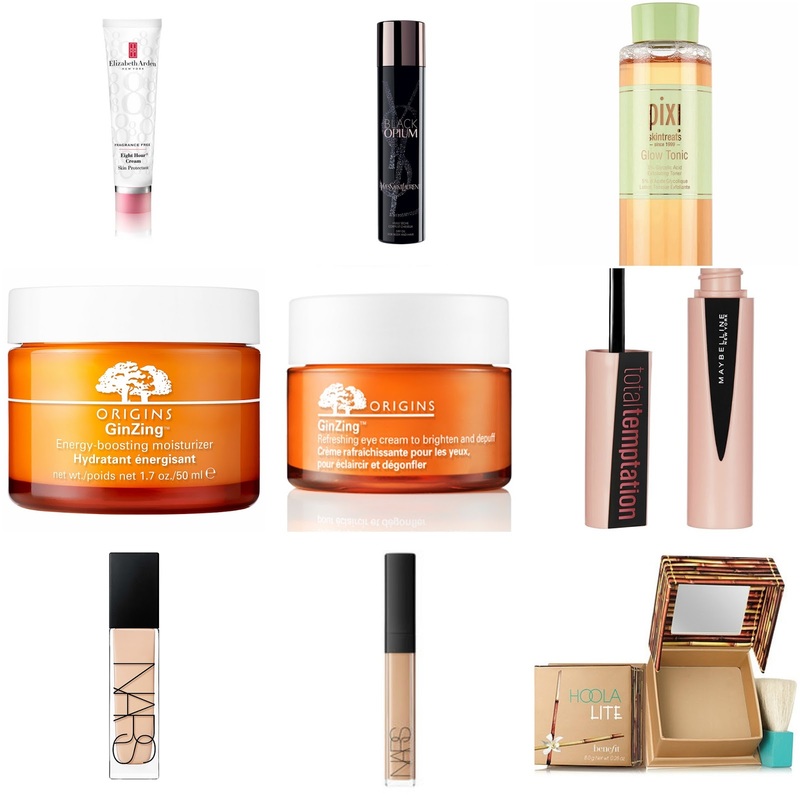 It's time for another Beauty Wishlist post! I love writing these posts and sharing with you what products I'm eager to try, I hope you enjoy reading them just as much! The first product on my Wishlist this month is the Elizabeth Arden Eight Hour Cream. This is a product which I've never tried before, but always wanted to - I just haven't got round to purchasing it! I love that this is an all rounder and can be used as a lip balm or hand cream etc, it's a handy product to have! I'm obsessed with the YSL Black Opium scent, I'd even go as far as saying that it's my favourite all time perfume, which is a bold statement! What I've recently discovered is that there is an oil version! The YSL Black Opium Dry Oil can be used on your body or even in your hair, and is more long-lasting than the liquid version of the scent. Another product I'd love to try is the Pixi Glow Tonic. I've seen a lot of good reviews of this product recently. I have a lip balm by Pixi which I absolutely love, and I'd like to try more products from Pixi! A couple of skincare products that I haven't used for ages is the Origins Gin-Zing Moisturiser and Origins Gin-Zing Eye Cream. I love the scent of both of these products - it's so orangey and fresh! I believe both of these products are intended to be used first thing in the morning, however I like to use them to wake up my skin at the end of the day. Recently, I've been mesmerised by the Maybelline Total Temptation mascara advert that's been on the TV. It's very rare that an advert on the TV will grab my attention, but this one does every time! The mascara seems to give a hefty lift to the lashes and packs them with volume, which is all I ever want from a mascara in all honesty! I also love the fact that there's coconut extracts in the product too. A couple from Nars have caught my eye too, the Nars Natural Radiant Longwear Foundation which I have seen being raved about by influencer's and makeup artist's recently. I love the look of the finish on people's faces when they have used it - it really does look natural! What I also love, is the range of shades in the collection - so important when buying a foundation. The other Nars product on my Wishlist is the Nars Radiant Creamy Concealer. This is another raved about product that I've not tried before! When I've seen people using it, I like the look of the texture of the concealer, and it looks to give quite a good coverage too which I personally find very important when choosing a concealer. Lastly on my Wishlist for this month is the Benefit Hoola Lite. I've tried a small sample of the original Benefit Hoola, but I found it quite orange and too dark for my skin tone which is a shame because I know it's a brilliant bronzer! I'm hoping that the 'lite' version will be much more suited to my skin tone. I also want to try the Pixi Glow tonic, I've heard some amazing stuff. I've heard it's meant to be amazing for your skin - I'll be interested to see what effect it has on my skin! I really want to try the Elizabeth Arden 8 hour cream too, I haven't tried anything from Elizabeth Arden and so many people love it. Oooh you need to pick up the new Maybeline mascara, I've been using it the last couple days and love it. It gives gorgeous full volume long lashes without being dry and clumpy, I'm loving it! Ooh - that's exactly what I look for in a mascara! It sounds amazing! I really want to try the new NARS foundation, definitely on my wish list too!